Feast your eyes on the architectural wonders of the South Texas missions. Together, they represent the largest concentration of Spanish colonial missions in America. Each walled complex features its own unique style, complementing centuries of extraordinary history and culture. Visiting these outposts will fill you with wonder – especially knowing how lively they were during full operation. While most of them were part of a network of missions now designated as a UNESCO World Heritage Site, they all operated as self-sustaining communities, complete with agriculture and crops, irrigation systems, artisanal crafters and, of course, Catholic parishes. Among the Missions of San Antonio, The Alamo is the most famous. It was originally built as a mission named San Antonio de Valero in 1718. 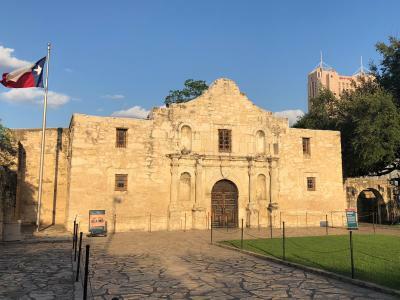 In the late 1700s, the compound was converted into a frontier outpost that eventually became the battleground on which the famous phrase “Remember the Alamo” was born. Now the centerpiece of Downtown San Antonio, you can walk through the former mission, barracks and chapel that existed under six flags of independent nations. Just a 15-minute drive from The Alamo, you’ll find Mission San José, founded in 1720. This mission is the largest of the four missions in the San Antonio Missions National Historical Park. About 80 percent of the mission is original, and it was further restored in the 1930s almost fully to its original design. Speaking of reconstruction, Mission Nuestra Señora de la Purísima Concepción de Acuña has an impressive claim to fame; it is the oldest unrestored stone church in America. Considering that it was dedicated in 1755, that’s quite the feat – especially because you can still see some of its original frescoes. The community was originally started in East Texas in 1716, but they found their forever home on the San Antonio River in 1731, where the chapel stands today. Mission San Juan Capistrano, another of the San Antonio missions, was also a transplant community. It was originally founded in East Texas in 1716 and was moved over to the current site in 1731, and the church was built in 1756. Notably, each community built and operated an advanced series of irrigation ditches, called acequias, to water their crops. The San Juan Acequia was restored to full operation in 2011 and now waters a demonstration crop for visitors to see. The last San Antonio mission, Mission San Francisco de la Espada, was the first Spanish colonial mission established in Texas. This community was originally founded as San Francisco de los Tejas in 1690 near what would become Weches and moved to San Antonio in 1731. At this mission, you can observe a working loom, which recreates the work done in this community to wash, spin and weave sheep’s wool during its heyday. If you travel a few hours south to Goliad, you’ll find the Mission Nuestra Señora del Espíritu Santo de Zúñiga in what is now Goliad State Park. 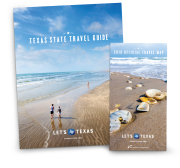 Originally established in 1722 near Matagorda Bay, it made the shortest trek of the transplanted missions in 1749. Nearby, you can make an appointment to tour the ruins of another once-thriving community at the Mission Rosario State Historic Site, which operated in the 1750s. For a tour through history unlike any other in the country and even the world, visit the missions of South Texas. 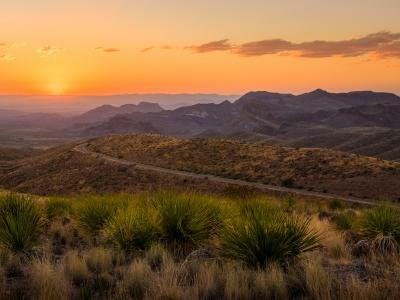 Most of them are within an 8-mile radius and accessible via trail in San Antonio. And all of them are inspiring – from their magnificent architecture to the stories they’ve left us with.